Spring means a lot of great things – flowers blooming, warmer temperatures and spending more time outside. But, it also means it’s time to keep up with spring cleaning. But it can be easier than you think. HGTV has several suggestions to help keep the house tidy. To liven up your drapes, put them in the dryer and run the air-fluff cycle with a damp towel for up to 15 minutes. When cleaning out the garbage cans, use a disinfectant spray to remove any germs. Investigate your windows and doors for any leaks and check for peeling paint, which can be a sign of water damage. Cleaning the refrigerator can be easier if you use soda water and abrasive salt to get those tough stains out. 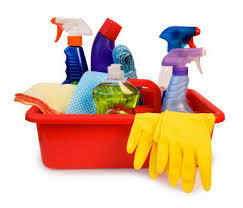 The Powell Group is here to assist you with all your cleaning needs. Our team members are here to answer all your housing questions and concerns.